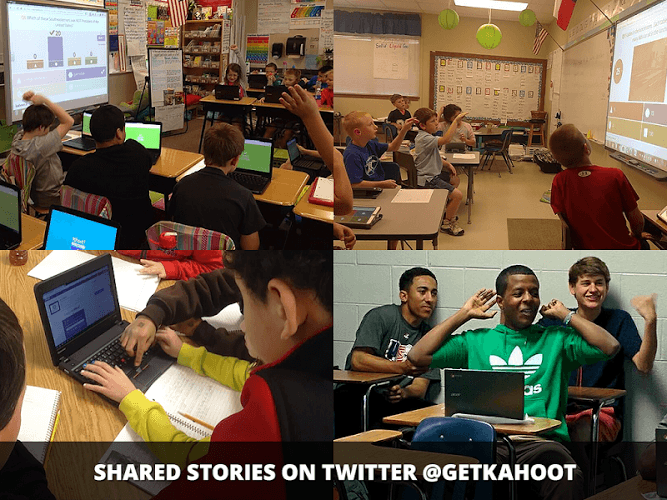 Read more about Kahoot! on our blog! Today's students seem to have shrinking attention spans making teaching them even more difficult. Add in the competition for their attention with flashy apps, electronic devices, and tablets and it's a wonder they learn anything. If you've trying to find a way to help your students become more engaged during class, try turning your next lesson plan into a fun game show. With the free Kahoot! 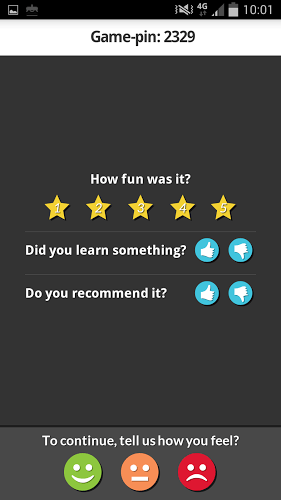 Android app, your students can answer questions that you hand select yourself. 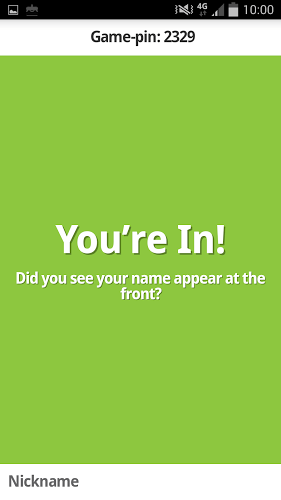 Simply head to the Kahoot! website and set up your next game. Give your students the game pin and away they go. The true beauty of Kahoot! is that it's available to play on Android devices or any device that has a web browser. Set up your next lesson and watch your students light up as they correctly answer questions and truly enjoy engaging with today's lesson. 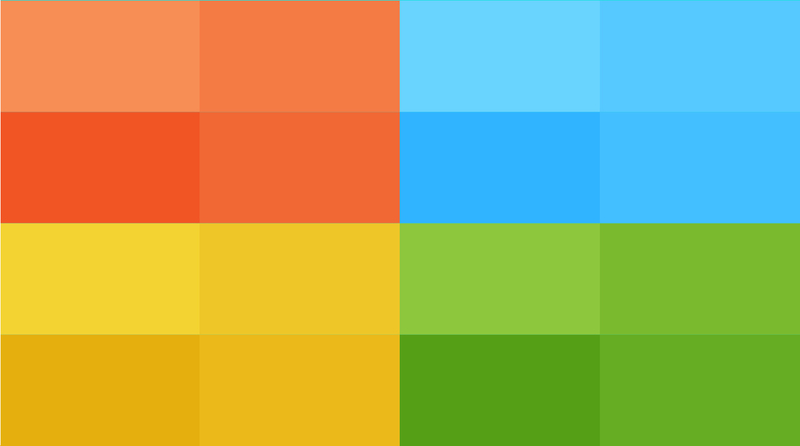 Download Kahoot! and start the fun. Why play Kahoot! on Bluestacks? Play Kahoot!. Redeem your BlueStacks Points. Get rewards! Kahoot! on BlueStacks comes with a default Keymapping, created based on feedback gathered from experienced gamers to ensure an optimal gaming experience. 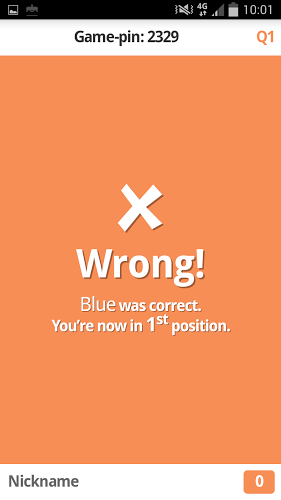 3 Kahoot! 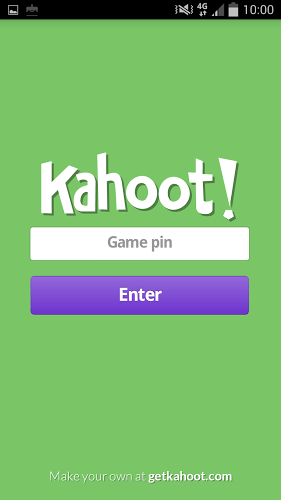 Go to the search bar at the top-right corner and search for Kahoot! 6 You're all done! 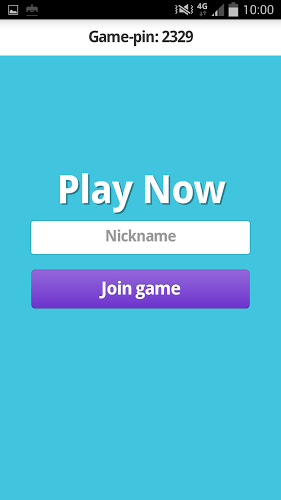 Enjoy playing Kahoot! on your PC. Kahoot! 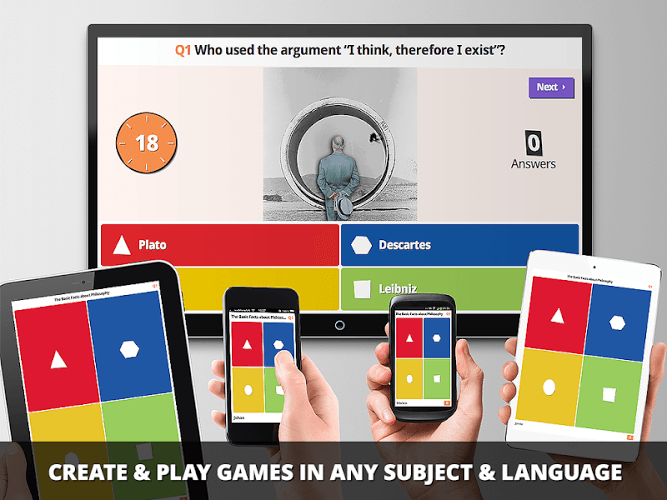 makes it easy to turn any lesson into an interactive game for your entire class, and the free BlueStacks player allows you to make it epic! Easily turn this student controller app for Android devices into a fun game on your class computer or laptop. With three easy steps, you will be ready to give your class the most fun they've ever had inside a classroom. Start out by downloading the free BlueStacks player from the link above. Next, sign in with your Google account. 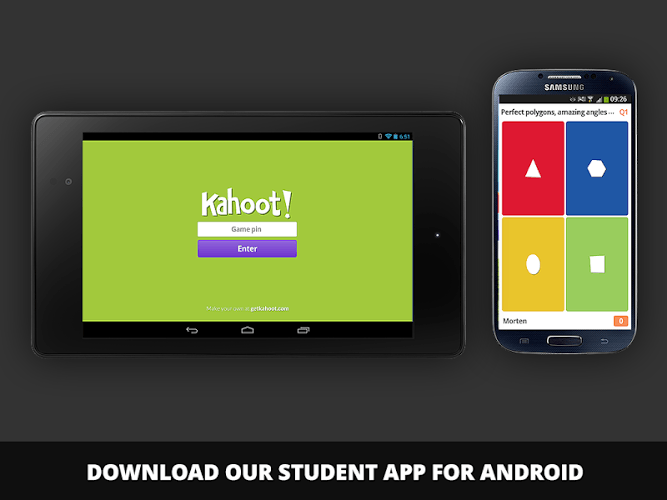 Finally, search the large Google Play store and install Kahoot! on your PC or Mac system for your class. With the new Kahoot! 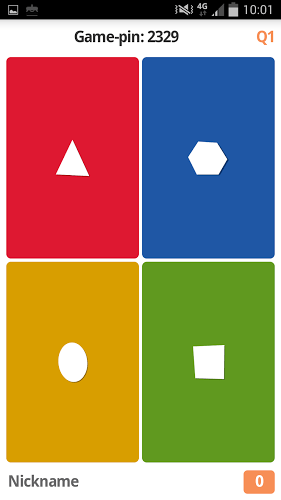 Android app, you can set up a fun game for anybody to play, not just a classroom. For a fun twist, use the new and improved BlueStacks 4 to create and play the largest game of Kahoot! in the world. 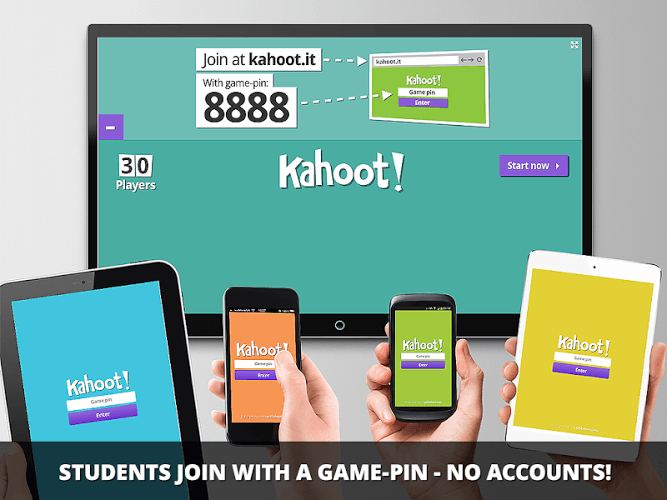 With the latest version of the free BlueStacks 4 player, you can instantly stream Kahoot! to hundreds or thousands of players around the world. Allow others to watch and cheer on competitors as the answer question designed by YOU. With BlueStacks 4, it only takes one click to start streaming any Android-powered video game or app to the largest social gaming site on the net.